Playa Del Carmen is in the Riviera Maya, and it is the top destination in the region for nightlife, dining, and shopping. There is something for every vacationer, and other Riviera Maya destinations can be easily reached from this locale. After you've decided to spend your next vacation in this trendy spot, you'll need to look online for accommodation. Your initial Internet search will probably yield a ton of options, but you don't want to have to search through them all. 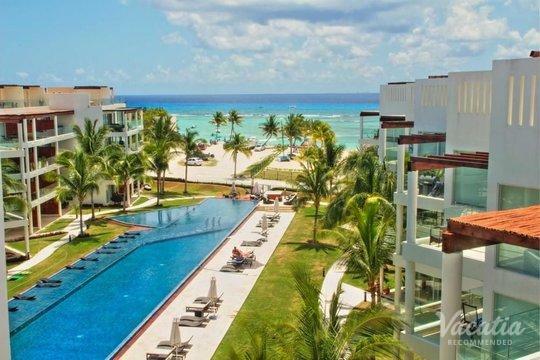 On the other hand, Vacatia's detailed and comprehensively organized listings make it a quick and easy process to find Playa Del Carmen resorts. Our Playa Del Carmen all-inclusive family resorts are all highly recommended. If you have any questions, simply start an online chat with a member of our friendly and knowledgeable Guest Care team. 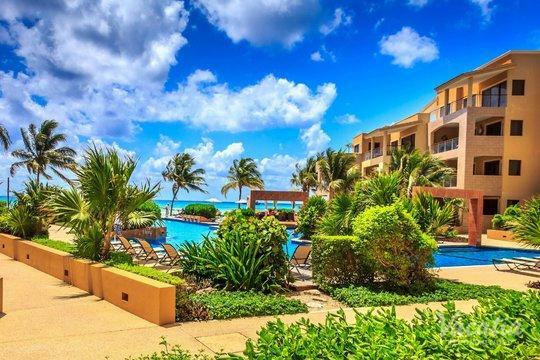 When you book one of Vacatia's Playa Del Carmen hotels, you'll know exactly what you're getting before you leave home. It can be hard to find the perfect accommodation. Many vacationers want a little bit of everything - the perks of a high-end resort, as well as home comforts and an unassuming feel. This is why Vacatia offers resort residences. When you book one of these unique lodgings, you'll get the best of both worlds. You'll have your own spacious and comfortable living area, fully equipped gourmet kitchen, and often an in-unit washer/dryer. You'll be able to spend time with your loved ones in your own space, prepare a few of your own meals to save on food costs, and pack a bit lighter knowing that you can do a quick load of laundry. On top of all this, you'll also get concierge check-in, delicious on-site dining, fun pools and waterslides, daily housekeeping, and other resort-style benefits. You can have it all when you work with Vacatia. 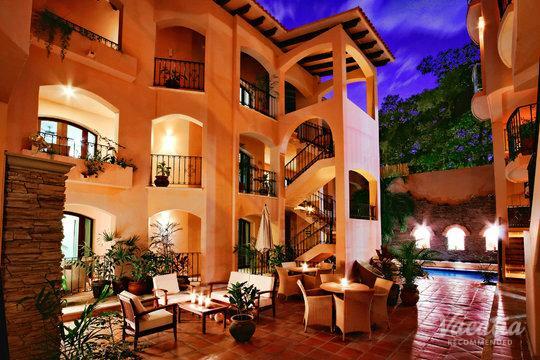 Booking one of our Playa Del Carmen hotels is just the first part of what is sure to be an unforgettable vacation. This Riviera Maya locale is known for its elegant beach clubs, which offer an indulgent alternative to publicly accessible beaches. These clubs provide access to pools, a range of water activities and spa treatments, and tasty food and beverage choices. 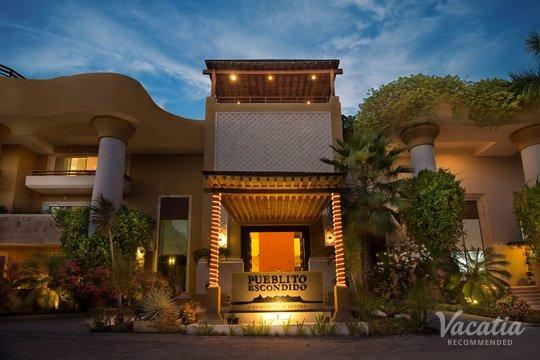 Meanwhile, Quinta Avenida is the pedestrian corridor of Playa Del Carmen where you go to see and be seen. A short drive from the international airport in Cancun, Playa Del Carmen is still southerly enough to provide easy access to Coba, Tulum, Cozumel, and other noted destinations. Its reefs are excellent, offering great snorkeling and diving experiences. Keep an eye out for sea turtles, moray eels, rays, and a wide range of corals. 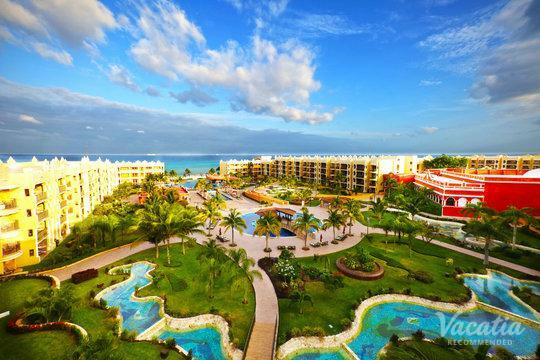 To top it all off, stay at one of Vacatia's Playa Del Carmen all-inclusive resorts.